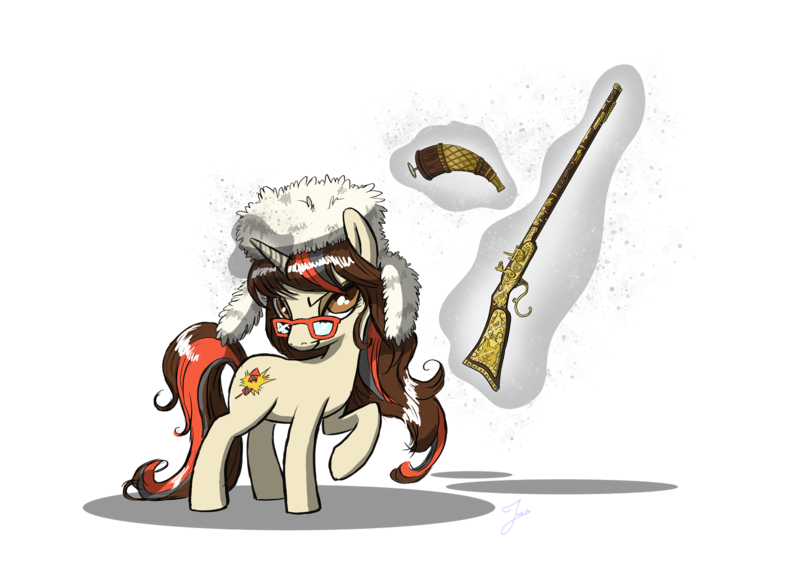 Lurking Rhythmically: Monday Gunday: Learning something new - Ponies. Pistols. Prepping. Why two Monday Gunday posts in the same day? Because I just learned something new and I want to make it plain to my readers that I do not know everything. Keep that in mind the next time you're reading stuff on the Internet and you feel foolish for not knowing, or for being confused -- everyone can be ignorant or mis-informed. Bullet is the pointy part that comes out of the barrel. Brass or Case is the cylindrical part that contains the gunpowder, and gets ejected. Cartridge is the combined package of brass and bullet. Caliber, when talking about handguns (rifles are different) is the diameter of the gun barrel into which a cartridge fits and NOT the diameter of the bullet itself. That said, the two measurements are very close, as you want the bullet to be a tight fit within the barrel. All right. 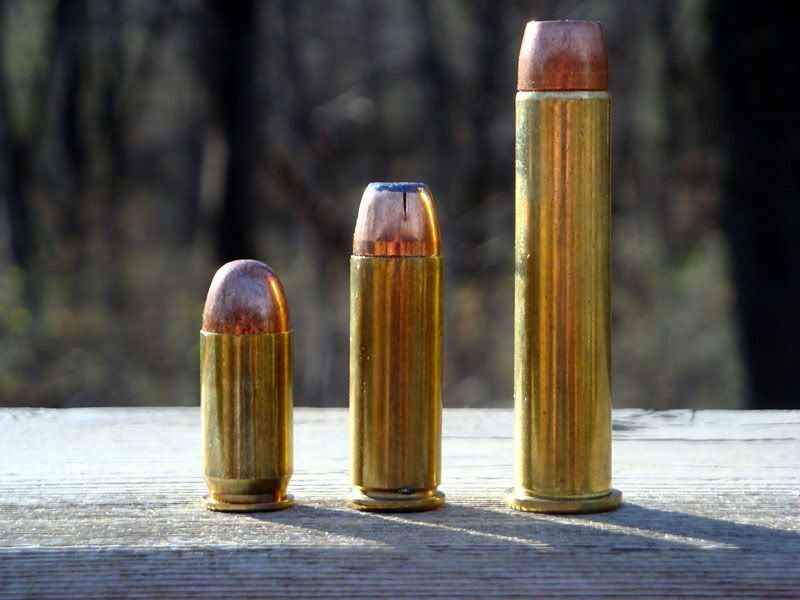 That said, look at this picture and gasp in amazement when I tell you that all three of these are .45 caliber. .45 ACP (Automatic Colt Pistol). Used in semi-auto pistols. .45 Colt (aka Long Colt). This cartridge has a rimmed case and is used in revolvers. .45-70 (aka .45 Government). This is a rifle round, although some monstrous hand cannons are chambered for it. For the curious, the 70 is the weight of the powder charge in grains. Even though all three are .45 caliber, do not assume they will fit any .45 firearm! Put an ACP into a revolver? The cartridge will fall out of the cylinder. Put a Long Colt into an automatic (assuming it will fit)? The gun will jam. 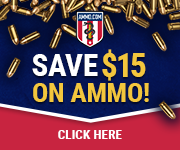 Put either of these into a .45-70 rifle? ... I don't know what will happen, but I want to be a safe distance away, preferably behind something very solid. Therefore, today's lesson is this: caliber is not the only indicator of cartridge compatibility. Case length is also essential. So read your ammunition carefully! And don't feel bad when you have a case of derp. I just now realized that .45 revolvers and .45 automatics don't take the same cartridge. But I learned something, and that's what is important!